Michael Stone, who was convicted of murdering a mother and daughter in 1996, has been granted a fresh appeal against his conviction. Stone was jailed in 2001 for killing Lin Russell and her six-year-old daughter, Megan. Lawyers acting for Stone claim adverse publicity and an unreliable witness prejudiced his trial. On Wednesday a judge granted an appeal hearing to reinvestigate the witness testimony. However, the publicity claim was not accepted by Mr Justice Treacy as grounds to appeal. 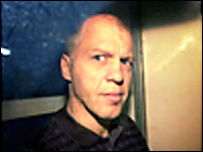 Stone was given three life sentences for the double killing and the attempted murder of Lin Russell's other daughter, Josie. The trio were attacked on a country lane in Chillenden, Kent, in July 1996. He was originally convicted at Maidstone Crown Court in 1998 but, following an appeal, a retrial was ordered because of the unreliability of witness testimony. The latest appeal was granted after Stone's lawyers questioned the reliability of another prosecution witness, Damien Daley. At the 2001 trial, Mr Daley told the jury he heard a voice coming through pipe-work at Canterbury Prison confessing to the killings. Mr Daley claimed the voice was Stone's, but defence barrister Mark McDonald said there was no evidence to support the claims. The appeal application hearing was told Mr Daley's evidence should have been excluded or the jury should have been given firmer warnings about the possible unreliability of his testimony. The date for the new appeal has yet to be set. "Stone's lawyer argues a witness at his trial was unreliable"